Nokia pulls the plug on its Ovi mobile brand | What Hi-Fi? Nokia is killing off its Ovi brand, used to sell music, games and mobile apps. The company says it plans to wind up the four-year-old project and in future will offer such services under the Nokia name. In a sign of things to come, Nokia axed its Ovi Music Unlimited service back in January (see story below). It seems not all online music services are enjoying the success of iTunes and Spotify. Following the demise of Sky Songs at the end of last year, Nokia is to drop Ovi Music Unlimited, its free music download site for mobile phones. The phone operator is pulling the plug on Ovi Unlimited (formerly known as Comes With Music) in the UK and 26 other countries. The service currently allows customers who buy a Nokia handset to receive free, unlimited music downloads. However, the move does not affect its similarly named Ovi Music Store, a separate website that enables Nokia owners to purchase DRM-free music from an online store. That service will continue to be available in 38 markets. "We are currently working with our partners to deliver new, innovative music services as part of the Ovi experience during 2011," a Nokia spokesman told MediaGuardian. "As we focus on delivering these... we plan to cease producing Ovi Music Unlimited devices at the end of the year." 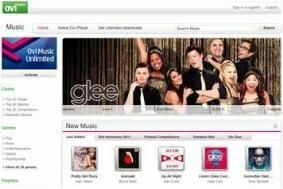 Music labels Universal Music, EMI, Warner Music and Sony Music all backed the Ovi Unlimited service, which was set up as a rival to iTunes. It was originally launched under the name Comes With Music. Nokia will continue to offer it as a subscription service in China, Indonesia, India, Brazil, Turkey and South Africa.